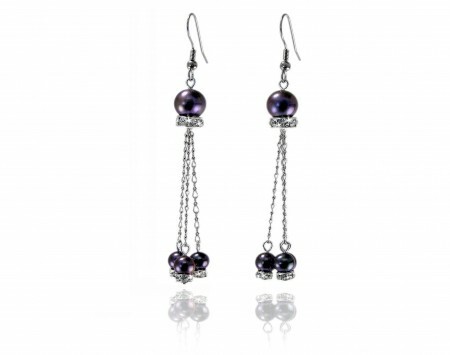 Surgical steel wire style earrings set with a striking genuine black freshwater coin pearl, a small round black freshwater pearl and four faceted crystal beads. 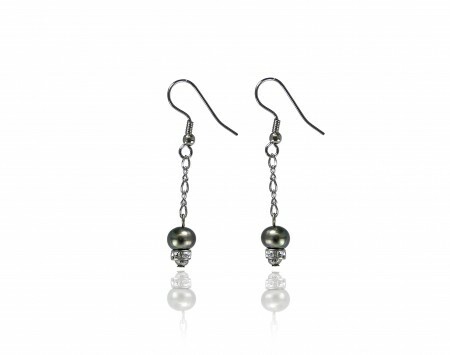 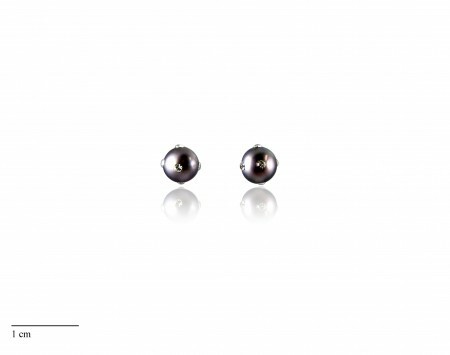 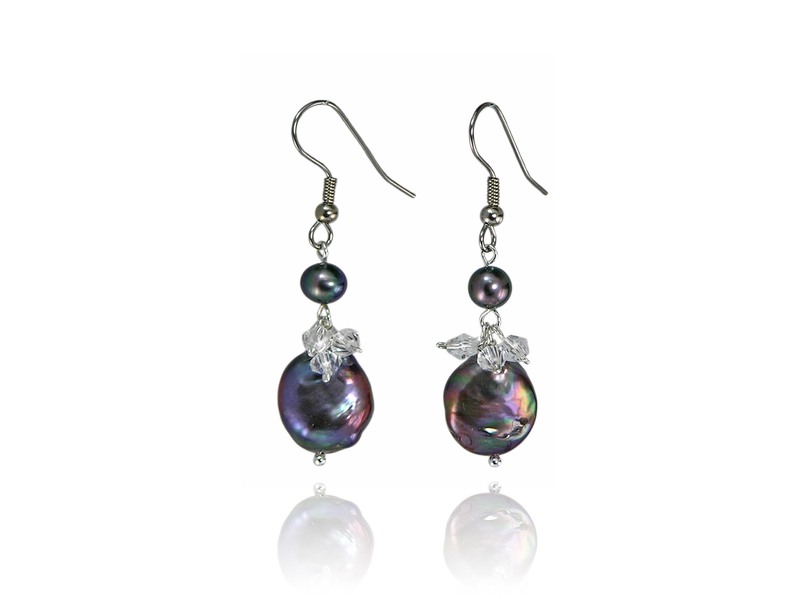 The coin pearls sit on silver tone plated metal beads. 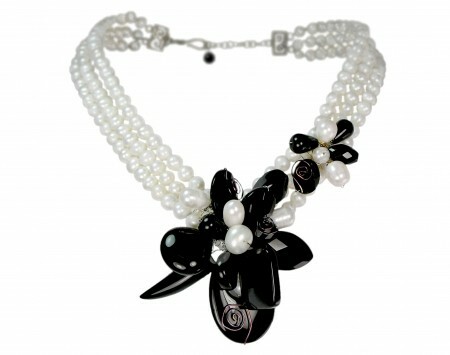 Accent beads may vary from picture.